It’s time for AMTR Volume 4 and here we are still streaming our mantra “Art Makes The Room” across the interwebs to anyone who will read our words. We truly believe around here that a room without art is akin a cake without icing. Basically, what is even the point? So, we’ve made it our mission at ALI to support artists near and far that are doing their thing and putting work that we resonate with out into the world. We may have baths on the brain due the good Epson salt soak I needed after all the walking we did at market in ATL last weekend sourcing some real good stuff for clients OR we may still have dreams of pampering ourselves dancing in our heads from last weeks master feature on the blog. 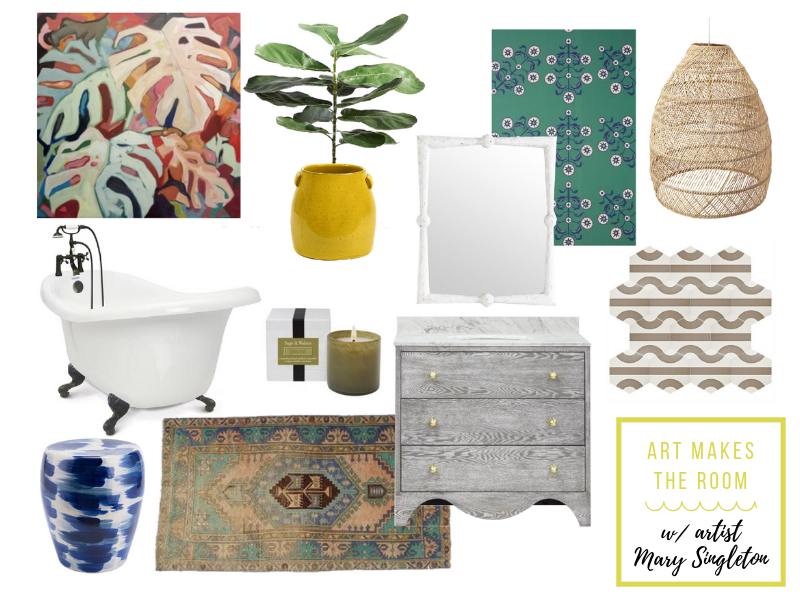 Regardless, when we saw the beautiful botanical piece from this month’s artist Mary Singleton we immediately schemed up a spa like bath that I am personally FEELING. Mary Singleton’s work caught my eye on insta and I’ve been slightly obsessed ever since. 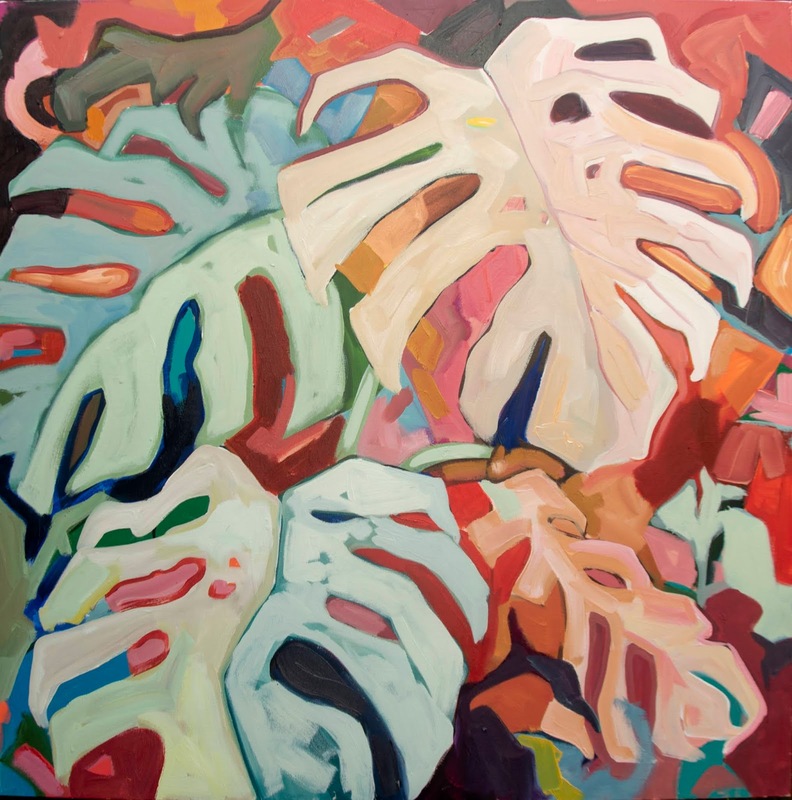 Her paintings feature botanical scenes, ladies, and color studies that all catch my eye. 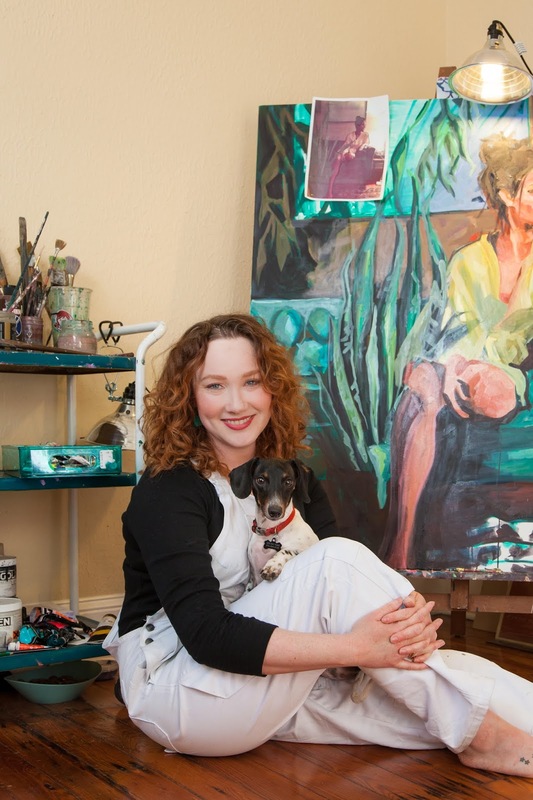 Mary lives and works in New Orleans and you can certainly see inspiration from her surroundings in her bold use of color… and, as you know, I appreciate anyone who isn’t scared of a little color. This bath that we’ve created around her piece “One of Kind” features patterned tile that I’m eyeing for my laundry room remodel later this year along with color and texture galore. All playing backdrop for this piece that truly makes the space! You can make this whole space happen for you by clicking those links below… but there’s only one original “One of the Kind” so if you’re feeling it, snag it. Lastly, head over to Insta to see how you can win a print of this piece!